Livia Etelka began her dancing exploration at the age of four. Fueled by her passion for the art of movement, she continues to explore ways in which to utilize the body as an intricate, emotive instrument to convey and communicate. In 2009, Livia discovered aerial dance, joining La Petite Chouette Aerial Dance Company in California, where she studied and performed the quiet strength and intricacies of aerial dance on a multitude of aerial apparatus. As a company member, she was part of many contemporary aerial dance theater productions. Embracing her love for traveling and passion for aerial dance, Livia has been working as an independent artist for almost 4years. 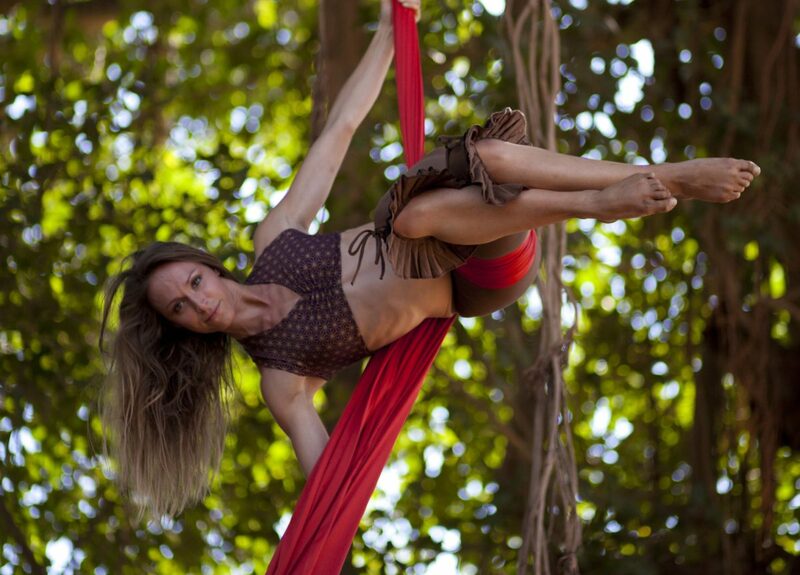 Her experience has brought her to travel around the world, performing at aerial conventions, theater productions, festivals, and high-end private and corporate events. Livia has currently been part of a series contemporary ballet theater productions with a dance company based in India and France, and is the director of the Feral Banyan Circus Shows in India. Livia Etelka strives to inspire through her flight, seamlessly blending in beauty and strength, emotions and physicality. Inspired by the power of performances, Livia is driven to bring a precious instance of magic to her audience. A timeless moment where the spectators are invited on a journey, to be transported to a space of utter presence.